In the past we would learn the skill, whereas now we start with the mathematical understandings. Planning takes time. Consider what you want for your students to learn in terms of big ideas - rather than strategies you're going to teach. NZ Maths Home Page - Curriculum Elaborations, under this 'Key Ideas of Mathematics'. These are no finite, they are infinite. Big idea is CENTRAL to the learning of mathematics, big ideas make connections. Big ideas develop a deep understanding of mathematics. You need to know the curriculum. Do you research google: 'Key mathematical ideas', you must understand these ideas. Books such as Van de Walle are great. Think about what they bring to the classroom culturally and mathematically. How can you best present mathematical concepts can match your students prior knowledge base? There is no learning that doesn't require a lens on language. LANGUAGE carries the concepts and meaning. When you put the LENS of the language on the topic of the domain you are working in, you need to think, how are you going to do this so it results in heightened levels of language. You have got to be really discerning about what you are doing, could we honestly say in all the work that we are doing, whatever level, are our children having heightened level of complexity as their capabilities? This is something we need to constantly be thinking about. Where does language occur? Spoken form, print. What we have got to be thinking of.. we could have mileage in print and spoken form - but our question has to be - is it heightening their level of understanding and being able to produce themselves. In our community, a long time ago (1990), we decided we had significant problems. A group of principals wrote to the crown to seek improvement. First contract application to the crown brought 1 million dollars. Working in clusters, using meta analysis has improved our student outcomes. Movement from the analogue age into the digital age. 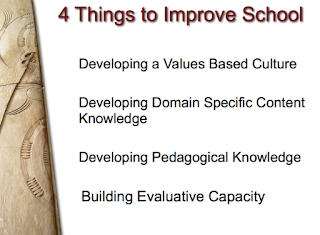 Above are the 4 things, that for sure, that change schools, classrooms, teachers and outcomes for our tamariki. Developing Pedagogical Knowledge - What changes school for kids? How do you test your friends and colleagues the theories that you have about the pedagogy that you are trying to use with your learners? How do we share our processes and knowledge so that more people can do it. As a staff we had a look at the new Speights Ad, done by the clever folk at DDB. They have created a new 'modern' take, showing a man being a 'vulnerable' bloke and learning a dance for his wedding. The understanding here at PES is we want our children doing things with their hands, everything we do has to lead to creative thinking. At some stage, that higher level of creativity, which is shown in the Speight's ad, requires a lot of deep thinking. In our teams we had to re-do one of the old Speights ad ....that is a modern day take, with no misogynistic, sexist, racist etc, it needs to be up with times and true to what is important in today's world.We had a look at the old Toyota Bugger Ad ... which showed men on a farm making various mishaps and then proclaiming 'bugger' as they made these mistakes. There is a woman in the ad who is hanging out the washing and it gets sprayed with mud. 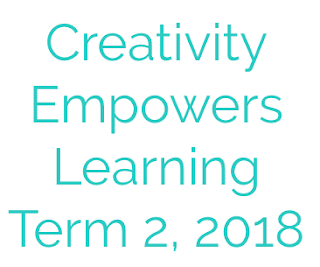 To recap, my Inquiry question for this year is: Would the everyday, explicit and rich teaching of mathematical language, coupled with step by step techniques of unpacking word problems, help my learners to better understand mathematical concepts, and better answer questions and explain how they got their answer? 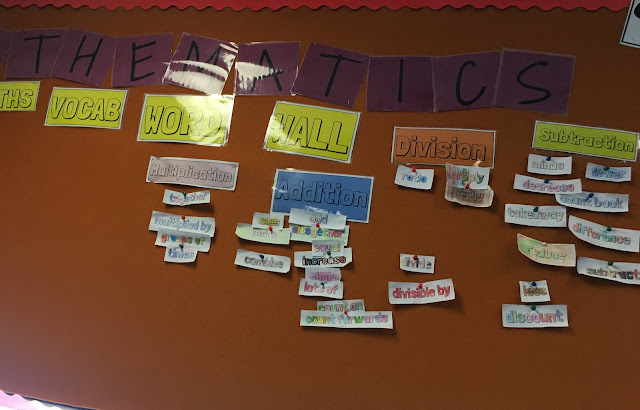 Last term I did a lot of work around how we 'unpack' a word problem (essentially using the DIMC approach) and doing lots of learning around mathematical vocabulary. What is the story about/ What do we know from the story? We have spoken about the word ‘context’ and what this means. With every question I have introduced to the children they have had to explain the context of it. What are we trying to find out?Once the group is able to agree upon a way they may go about solving the problem they are given paper to being their working. Language in Abundance - Where will you put your lens? Can you think with depth and breadth if you don't have the words to express yourself? 2/3 of a lot of our children's day does not expose them to complex language. Our challenge is to make sure the 6 hours we have with them is to expose to them to as much rich language as possible. We want our kids to do well in education to then step up and be 'higher players' in society, how do we get the parent and caregiver to be more educated? We know that education levels in the family are going to make a difference to their children - if we say there are a large number of families here that don't have higher education it doesn't mean they are NOT going to able to scaffold and help their children. You can't spend your day gathering ideas from the children. What are the trio of lens? If anything, this programme is about teaching resilience. Never be afraid to make the problems really hard. I’ve been in classes where children do not know the answer but they learning that occurred in finding that answer was HUGE. Record what has worked well for you and why - it has been cool to see kids who are not confident in maths, or struggle giving it more of a go, and to see kids being challenged and feeling like they are all equal to each other, e.g. mixed ability groups.